Today's post will be a guest post by my blogger buddy Swathy. She blogs at SHRAVS KITCHEN .I know swathy only for a very few days but then we have become good friends in a very short span of time.She is such a sweet heart ,she is one of the active food blogger I have ever seen .Not even a single day she is away from her blog ,she takes care of her blog with so much love and affection I admire that a lot about her. Besides cooking is an excellent photographer even she makes amazing terracotta jewells. Swathy you should definitely give a thought to blog about them too.Now over to Swathy!! I am extremely happy to write a guest post for my blogger friend Sharmila. We became good friends in a short span. I just love her recipe and the way she motivates the fellow bloggers. So here goes my special recipe atta halwa or wheat flour halwa. Whatever you call it is such a delicacy and melts in mouth. Godhumai halwa is one of the easy halwa recipe that can be prepared for any occasions. It requires little effort by continuous stirring but totally worth the effort. 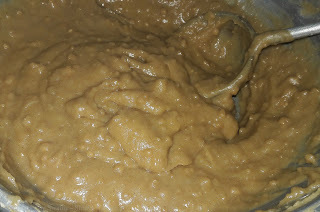 I have prepared this halwa in large amount for my relatives but managed to have a cup of halwa for taking pictures. The quantity mentioned here is for six people so don’t compare with the quantity in pictures as I have prepared for the whole family. 1. Heat a pan and add half quantity of ghee from the mentioned quantity. Add the wheat flour and roast it well for 15 minutes in low flame. 2. The flour has to slightly change color and give nice aroma. 3. Add water and keep stirring in low flame for few minutes. 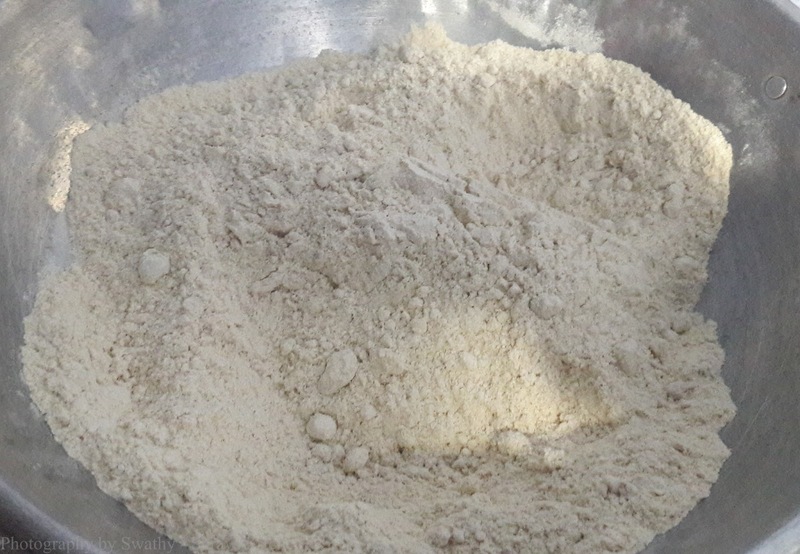 It may get burned quickly so keep stirring until it becomes thick. 4. Add sugar and cardamom to it and stir well. 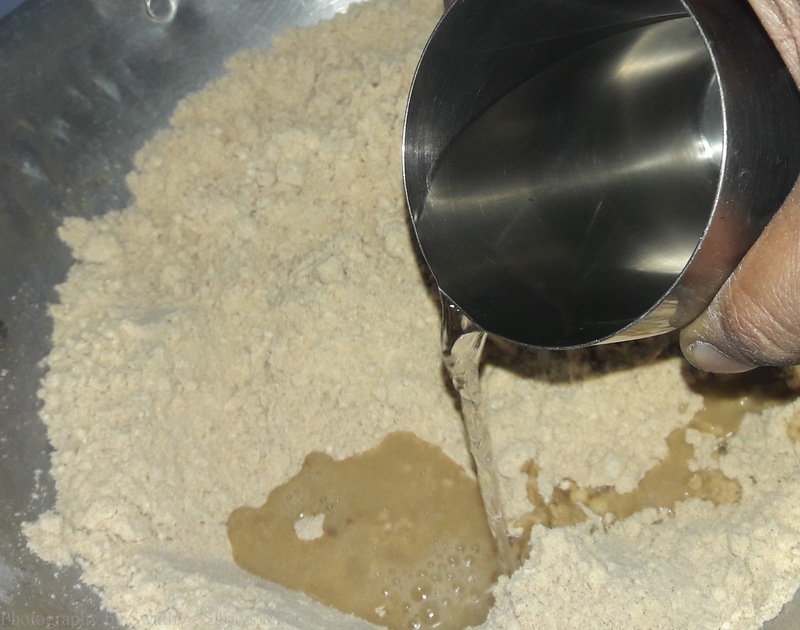 The halwa will loosen again as sugar melts. Pour the remaining ghee to the halwa and mix. 5. Cook until the ghee oozes out and halwa starts leaving the sides becoming glossy. 6. 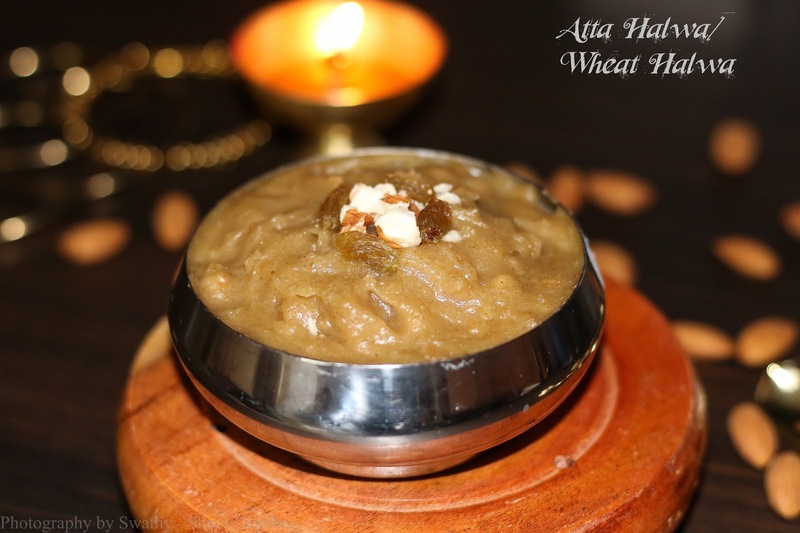 Garnish with nuts fried in ghee.The delicious Atta halwa is ready. 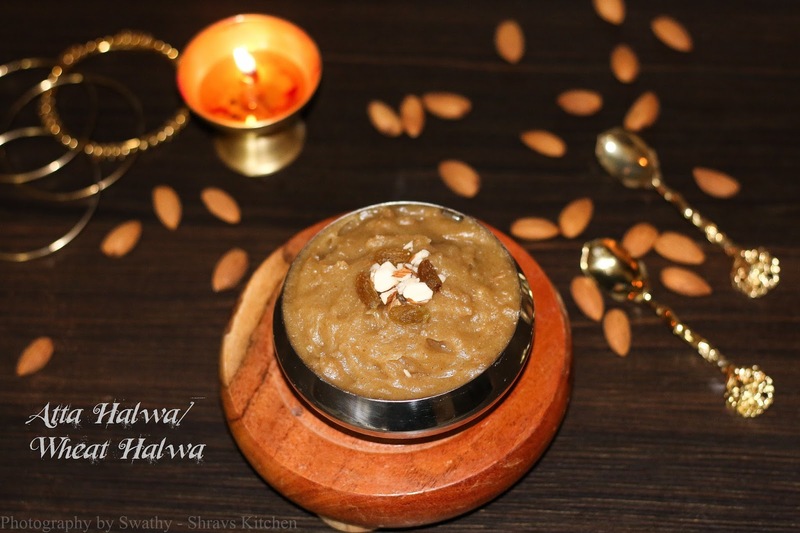 Serve warm and enjoy this halwa for any festival. Lovely halwa , good presentation !! !